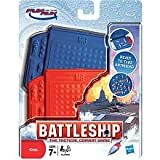 Over 35 years ago, Milton Bradley released BATTLESHIP. "You sunk my battleship!" could be heard during Saturday morning commercials. Using an aggressive advertising campaign, among other things, Milton Bradley succeeded to continuously produce the Battleship game until now. Battleship became one of the most popular games worldwide. Originally the game was called SALVO: THE BATTLESHIP GAME. Most early Battleship games were pen-and-paper games. Some sources say that the game was originally invented by Russian soldiers somewhere between 1917 and 1922. Basilinda, a game from 1890 by E. I. Horsman, may be a forerunner of Battleship. This is prooved by a promotion which shows opponents sitting acros from each other and hiding the pieces for each other. But if Basilinda is in fact a forerunner to Battleship, this certainly presents a conflict with the 1917 to 1922 dates. 1939; ADMIRALS, THE NAVAL WAR GAME; Merchandisers, Inc.
Battleship games are one of my favorite classes of games as I love games with hidden information and the subsequent dynamics of uncovering that information. 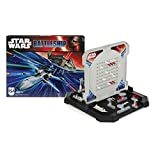 The games are not really difficult in terms of the strategy a player requires to play, but there have been some interesting games "built on top of" Battleship. Some of the games, such as TASK FORCE and Waddington's BATTLE, provide grids with land and sea and further provide naval vessels, land vehicles and even aircraft. For example: a tank must be on land while an aircraft could be on a square which contains both land and sea. In TASK FORCE, the game is made more complex by requiring the player to first determine which one of three islands house the opponent’s Head Quarters and then demolish all pieces on the island or above it in the air. 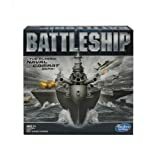 Hasbro published a new edition of Battleship in 2008, subtitled "The Tactical Combat Game." It makes several changes to the original game, including new ship shapes, a hexagon-shaped board (rather than a square), and the addition of several small islands where a captured soldier is hidden. One of the reasons I enjoy Battleship is because it is so straightforward. At the start of the game, players place each secretly their ships on the board (which is laid out in a grid). They then take turns calling out grid coordinates (e.g., B-2 or F-8), trying to hit their opponent's ships to sink them all before he does the same.